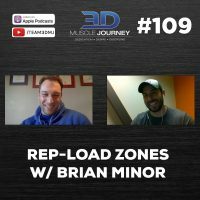 In this episode, Eric Helms talks with special guest Brian Minor (natural pro bodybuilder, USAPL powerlifter, and coach) about the theoretical and hypothetical differences between various repetition ranges and their effects on different fiber types. The coaches begin their discussion by unpacking one of Brian’s blog posts on progressive overload, then dive into a stimulating conversation on muscle fiber hypertrophy. Topics addressed include: the contribution of velocity to mechanical tension, the definition of “impulse” and its relevance to hypertrophy, anabolic resistance, repetitions being nothing more than an arbitrary counting system, and many others. 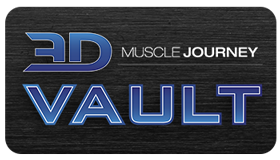 This episode is the most in-depth theoretical discussion on muscle fiber hypertrophy to occur on the 3DMJ Podcast yet. If you like talking theory, muscle physiology, and enjoy stimulating your mind, this episode may be your favorite one so far.